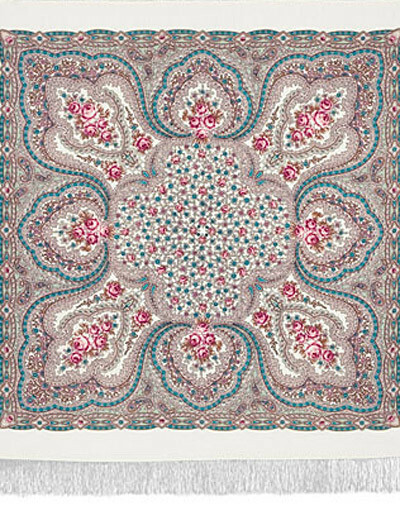 This Russian wool shawl belongs to the serie of largest shawls of Pavlovo Posad collection. The wool density is 100 g/m2. 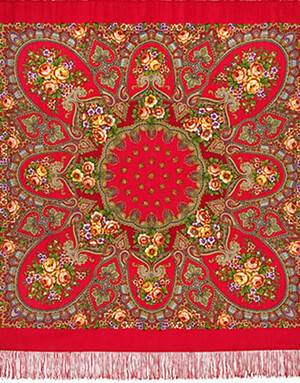 All Pavlovo Posad shawls are made of 100% natural, high quality wool, designed by craft painters and produced at the well-known manufactory of Pavlovsky Posad, the town that has been famous for Russian shawl factories for centuries. Every colour is hand printed and dried separately one by one, that allows to achieve better visibility and sharpness. The long fringe out of artificial silk underlines the shawl design. With such a large Russian shawl you can wrap yourself: over the shoulders, around the waist, on the head and shoulders or as poncho or any other way you like. 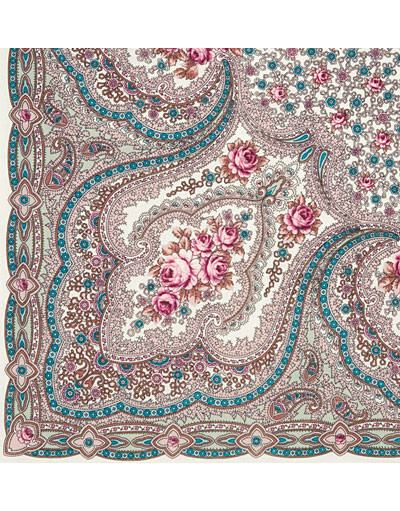 Russian shawl looks perfect not only with Russian clothing, but with jeans, coat or jacket. 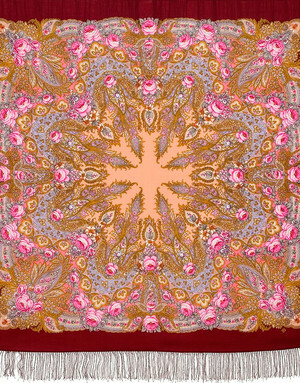 By buying a Pavlovo Posad shawl, you get splendid beauty, comfort, warmth and compliments for free!